"All right friends, let's stop all this ghoulishness and let's get grim. Hmmm? Now remember our rule: don't jump out of the window...unless it's open." 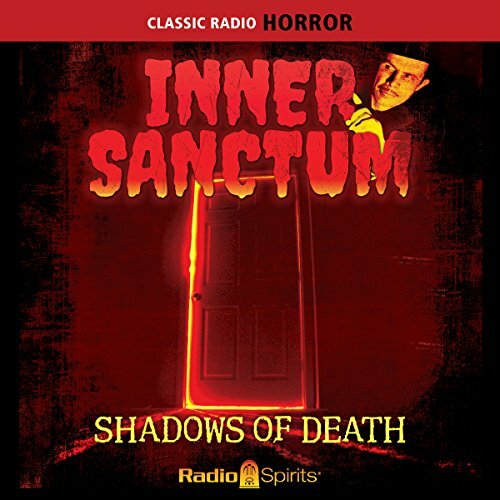 Your host creaks open the door and delivers you into the dark for 16 terrifying tales of suspense and the supernatural. Amidst storms and curses, risks and obsessions, threats and things that go bump in the night, people are plotting death, or trying to prevent their own! Hosts Raymond Edward Johnson and Paul McGrath share the microphone with the wicked Jackson Beck, Richard Widmark, Mercedes McCambridge, and more. Episodes include: The Amazing Death of Mrs. Putnam 01-07-41; Voice on the Wire 11-29-44; No Coffin for the Dead 02-20-45; Death Across the Board 06-05-45; Portrait of Death 06-12-45; Dead Man's Deal 08-28-45; Terror by Night 09-18-45; The Shadow of Death 10-02-45; The Man Who Couldn't Die 02-12-46; Lady With A Plan 04-09-46; Make Ready My Grave 04-23-45; Death Demon 07-05-48; Death Wears a Lonely Smile 04-04-49; Deadly Fare 07-18-49; Twice Dead 11-06-50; Beyond the Grave 12-04-50. ©2016 RSPT, LLC. All Rights Reserved. (P)2016 RSPT, LLC. All Rights Reserved.